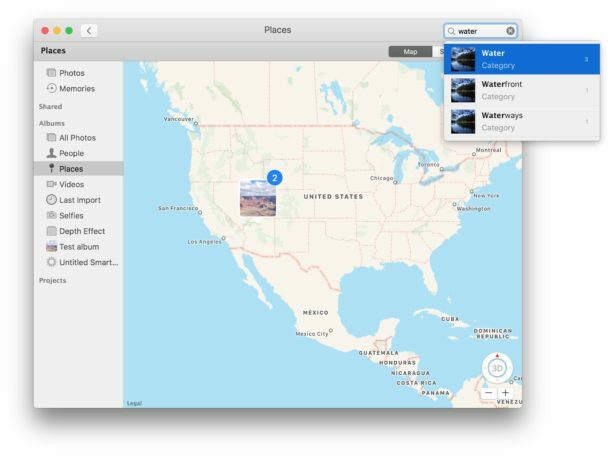 The Mac Photos app offers a Search feature which allows for searching for attributes in pictures, whether they are objects, things, descriptions of locations, places, or beings. This is just like the excellent Search feature in Photos for iOS in that you can search for a term or description and an album that matches those attributes will be returned, except it’s on the Mac desktop of course. 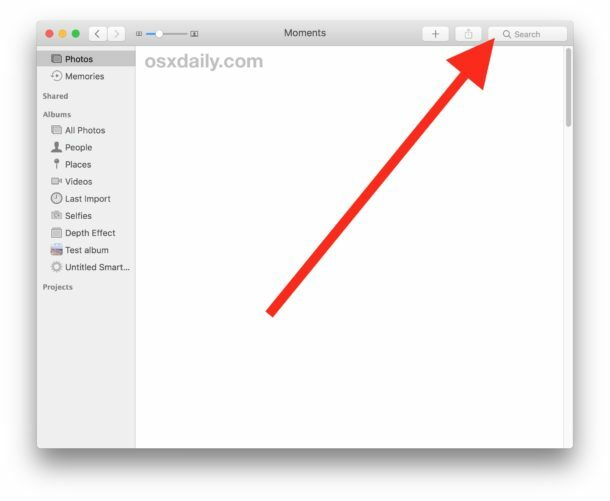 To be able to use the Photos search feature on Mac, you’ll obviously need to have a photo library in the app to search within, whether they are pictures copied from an iPhone or camera to the Mac Photos app, imported from files, migrated from iPhoto. Photos app must also have completed it’s indexing process, which happens automatically and in the background after a macOS system upgrade or after a photo import has completed. You can use many types of search terms, but items, descriptions, objects, and beings are usually the best type of attributes to find results for. 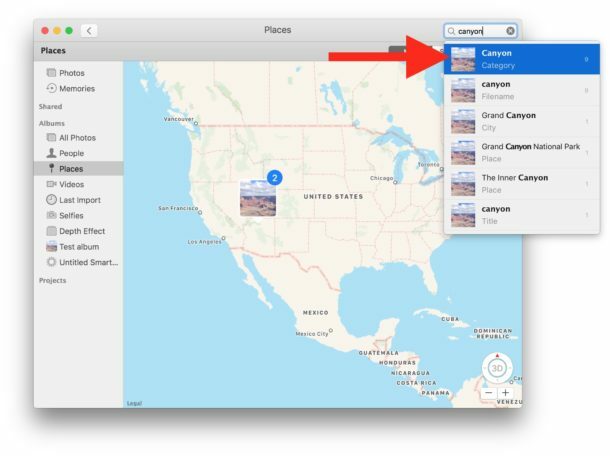 The examples here show “canyon” and “water”, but the app will also search file names of files managed within Photos app as well as faces of people if you have tagged to identify them in Photos app on the Mac. If you have the same pictures on your Mac as you do in iOS, the Search feature in Photos on iPhone or iPad will return the same results for the same images. This is a great trick, but remember it is currently limited to Photos app, and the searched photos and matching attributes within the pictures must be contained in a Photos app library. 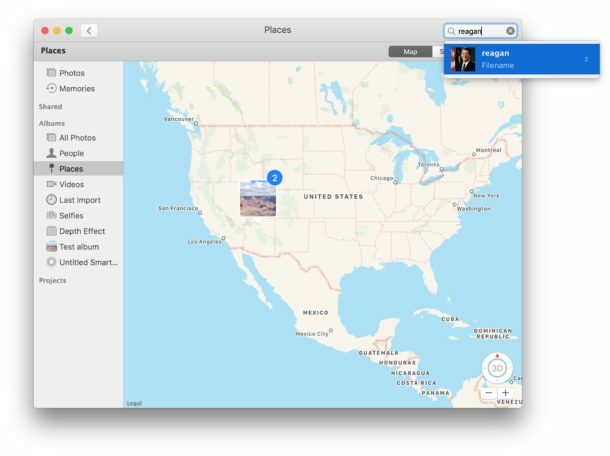 General image files elsewhere on the Mac will not be included in this search unless they have been imported into Photos app, and similarly searches performed through the Finder or even image specific searches in Spotlight will not turn up the same type of attribute matches as they do within Photos app. Have any other Photos app tips or comments? Let us know! What I *really* want to know is how to search using my iPad, for a photo description assigned in OSX Photos. Naturally OSX Photos is the place to do photo editing, annotation, and filing, and my iPad is the portable means to show images to other people like my mother. The description is a short text file typically not exceeding 32 characters, which should be easy to store and search, unlike complex image characteristics which need AI. Field “Text” and “Description” are both not working.